i was gifted the opportunity to try MATCH in exchange for an honest review. You know the saying “When in Rome,” well “When in Canada” – you give poutine a try for the first time. 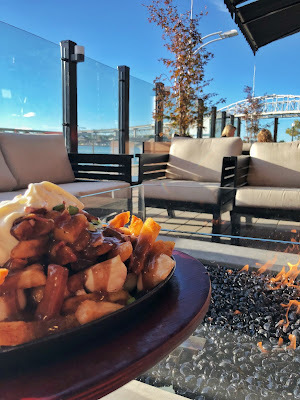 If you don’t know, poutine is a dish originating from the Canadian province of Quebec and consist of French fries and cheese curds that have been topped with a brown gravy. Personally, I thought this sounded completely disgusting. However, since it is a Canadian thing I don’t really see how we could cross the boarder and not try it. 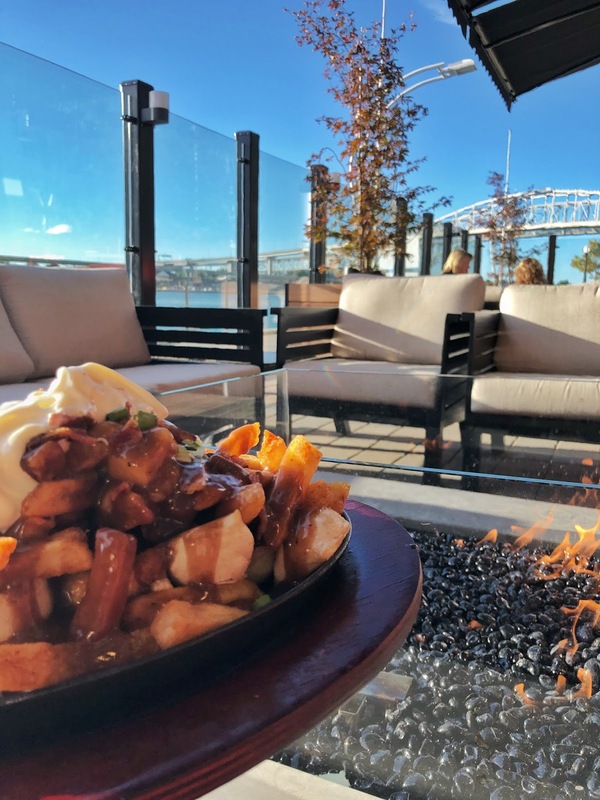 At Match Eatery and Public House you can pick your poutine and they have three kinds available. Oink, Oink features fresh cut fries, pulled bacon, cheese curds, signature Guinness gravy and crispy onion strings. Babushka features fresh cut fries, mini pierogis, bacon, cheese curds, sour cream green onion and signature Guinness gravy. The Carnegie features fresh cut fries, Montreal smoked meat, dill pickles, cheese curds, gruyere cheese and signature Guinness gravy. We decided on the Babushka and it was absolutely delicious – literally we ate too much. The gravy had a unique flavor which I think really helped the taste of the poutine. 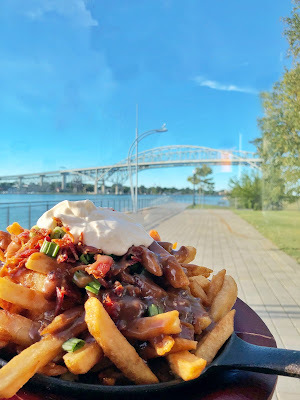 Have you ever had poutine before? If so where’s your favorite place to get it?